Colorado set a record with 77.7 million tourists coming to visit in 2015 and spending $19.1 billion. Two-thirds of the tourists stayed overnight in paid accommodations, such as hotels, rented condos, campgrounds, and RV parks. Durango saw a similar trend of healthy growth in the tourism sector as well in 2015. 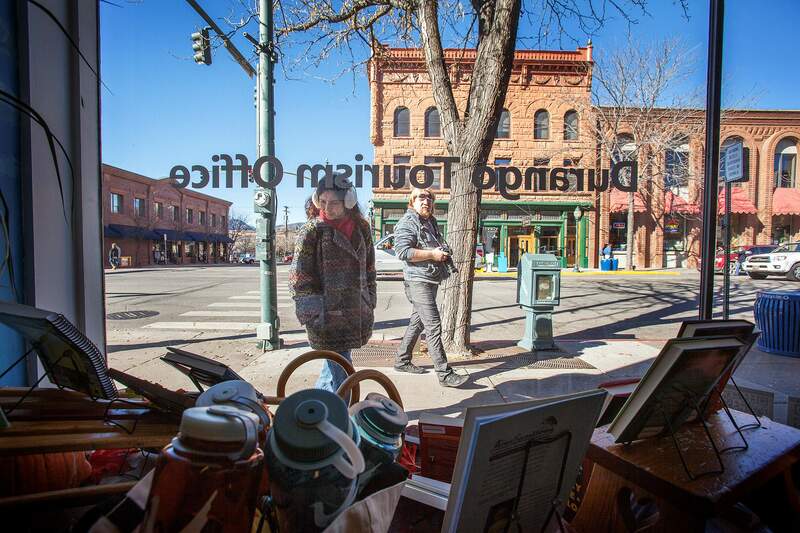 After five years of tourism growth, Durango could be headed for a sixth. Visitation numbers from Durango’s three main attractions look strong. Purgatory Resort had its strongest winter season in 17 years. Mesa Verde National Park is outpacing last year. And to top it off, Durango & Silverton Narrow Gauge Railroad expects to end the season ahead of 2015. Even though Durango’s sales tax collections have declined for two months in a row, the trend is likely to turn around, said Bob Kunkel, executive director of the Durango Area Tourism Office. “I think it will rebound, and we will see a positive number for the next couple months,” he said. Visitors are also staying overnight. Some area hotels saw 91 percent occupancy in June, according to a Colorado Hotel and Lodging Association report. Reporting to the association is voluntary, and data may not include all hotels. After a flat June, the D&SNG has been running four trains a day in July to keep up with demand, said Christian Robbins, a company spokesman. “Based on what we see right now, we’re going to have another year of growth,” he said. But he does not expect to see the 9 percent growth the train enjoyed last year. Mesa Verde’s visitation is up 8.55 percent to 232,518 people from 214,199 who visited at this same time last year, said Cristy Brown, a spokeswoman for the park. The Kid in Every Park program may be helping to draw in families as well, Brown said. The National Park Service launched the online campaign last September. It offers a free pass to all fourth-graders. Last year, Mesa Verde also started bicycle tours at Wetherill Mesa, and there is more awareness this season about the new, quiet way to experience the park, she said. The National Park Service is celebrating its centennial, and the marketing campaign around the anniversary may result in higher visitation next year as well, Kunkel said. “I think this renewed interest in visiting national parks is the real deal,” he said. Durango’s growth is largely paralleling growth seen across the state. Last year, 77.7 million tourists poured into Colorado – setting a record high with their spending and generating $1.1 billion in taxes. This week, the Colorado Tourism Office announced a 6.8 percent increase in tourist spending, which marks the fifth consecutive year of record-setting growth. The spending has helped spur hiring statewide. Tourism spending supported 160,000 jobs statewide, an increase of 3 percent, according to the release. Despite the Gold King Mine spill in August, Durango saw a similar trend, with general city sales tax collections increasing by 5.8 percent, up to $14.9 million in 2015. “It is clear that Colorado’s marketing campaign is not only inspiring travelers but driving healthy gains in business earnings and job growth,” said Cathy Ritter, director of the Colorado Tourism Office, in a news release.